Do you get folded like a egyptian cotton sheet in your cleans? How about those front squats, are your elbow scrapin' the floor as your try and dig that barbell out. If this is you, there is a real good chance you have some lower back pain that is part of your life. 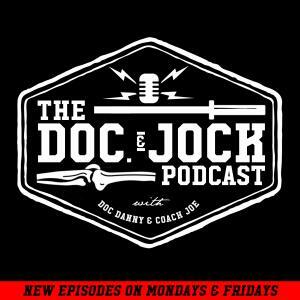 Luckily our very own Coach Joe used to struggle with the same issues, and on Episode 223 of the Doc and Jock Podcast he shares his 3 movements that fix lower back pain caused by these movements.